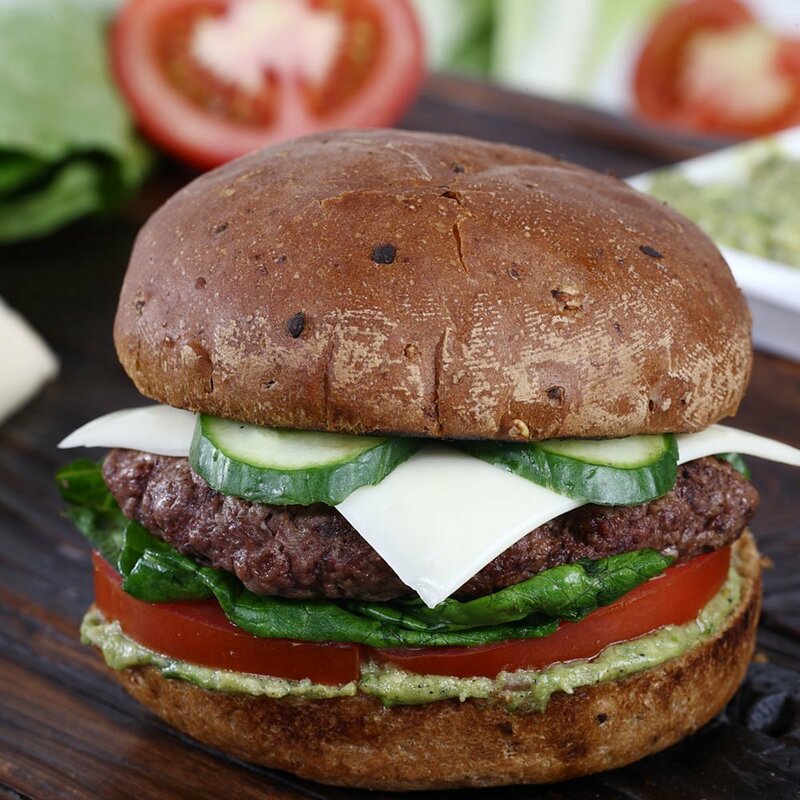 Juicy burger patty topped with lettuce, cucumber, guacamole and Swiss cheese served on a whole-wheat bun. 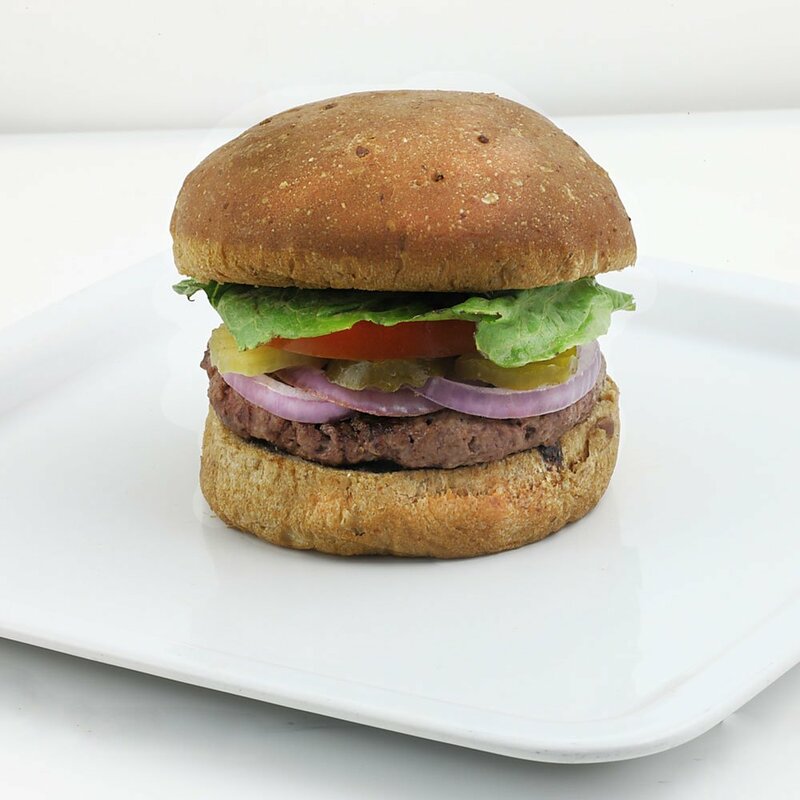 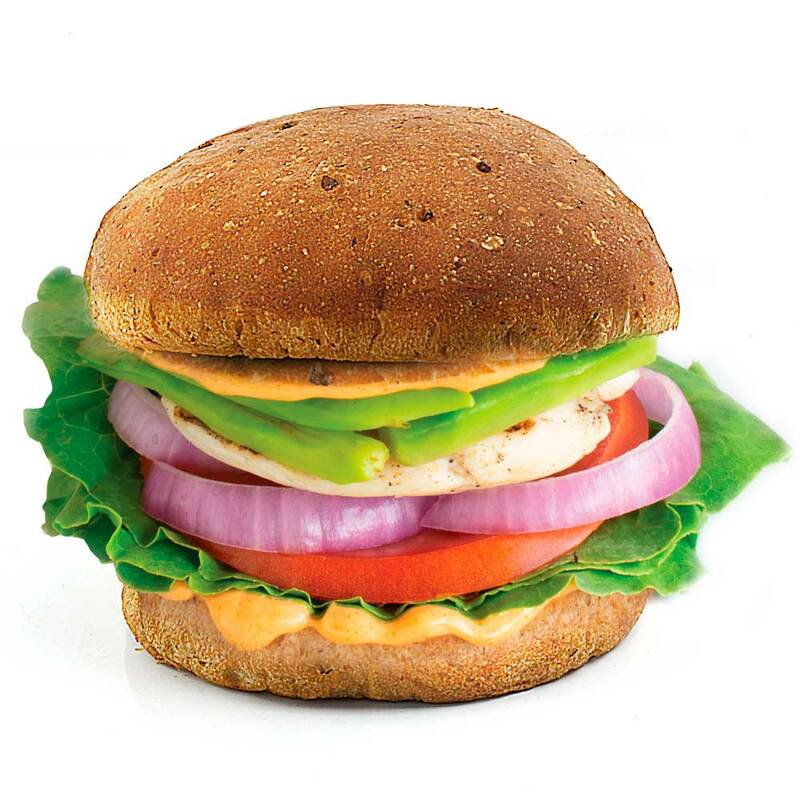 Juicy burger patty topped with lettuce, tomato, pickles and onions served on a whole-wheat bun. 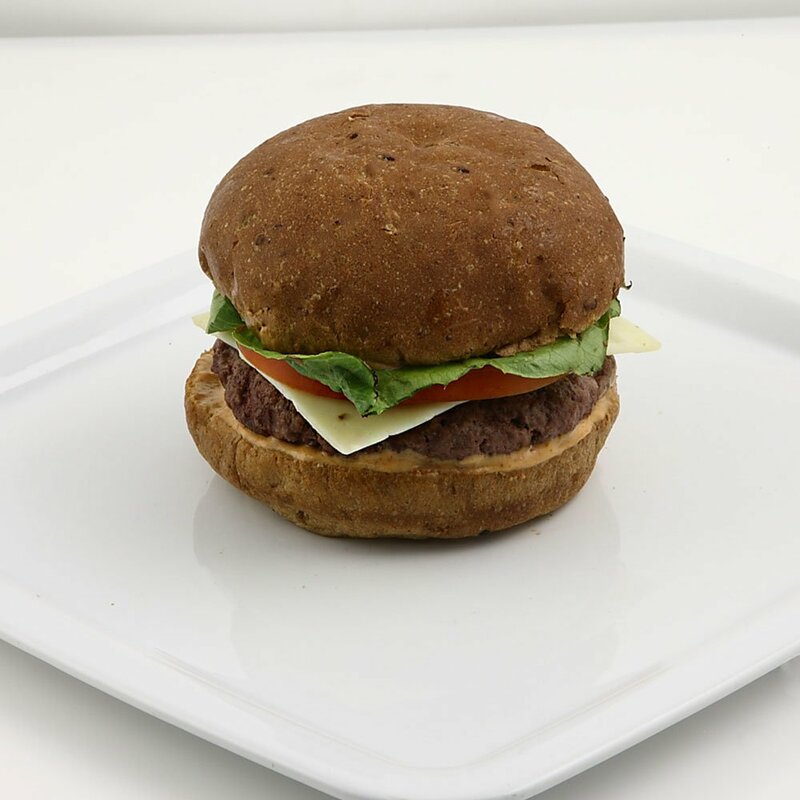 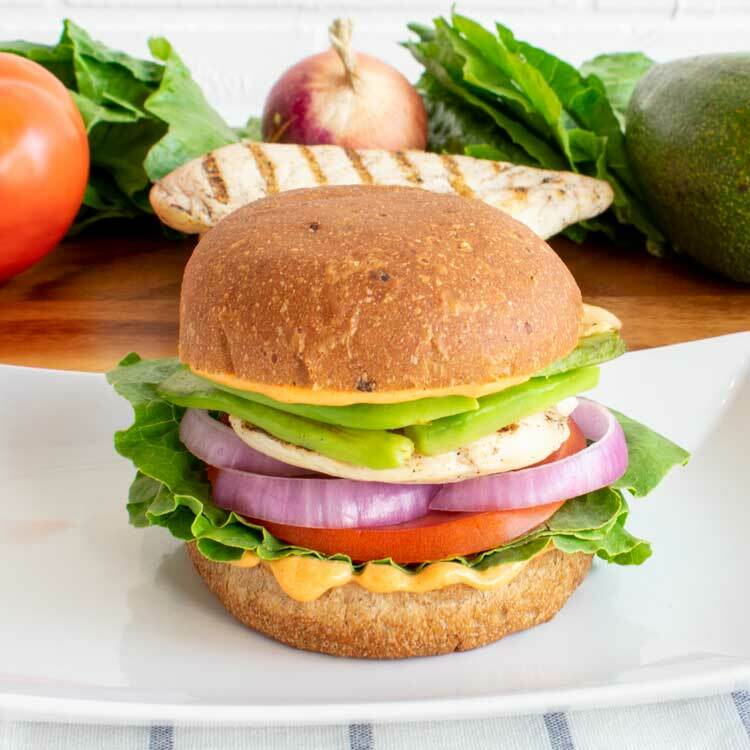 Juicy burger patty topped with lettuce, tomato, pepper jack cheese and chipotle sauce served on a whole-wheat bun.